She is reporting to newly minted U.S. CEO Mike Fernandez in the role. 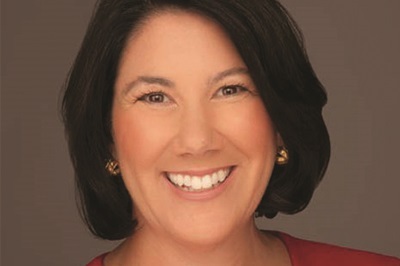 WASHINGTON: Burson-Marsteller has brought on Helaine Klasky as chair of its U.S. public affairs and crisis practice. Klasky, who joined the firm on January 11, will focus on building the practice’s client portfolio, working with clients on corporate and public policy, and helping clients navigate crisis situations and the political climate. She is based in Washington, DC, reporting to newly promoted U.S. CEO Mike Fernandez. Klasky is replacing Ann Davison, who left the firm in July, as U.S. chair of the practice. Davison moved to a role as director at PricewaterhouseCoopers Public Sector, according to her LinkedIn account. "What [Klasky] brings is more than what you normally have in a top public affairs role for a firm like ours," Fernandez said. "You look the public affairs function at most of the other large firms in D.C. and what they don't have is that big corporate experience, they don't have that academic experience, and don't have a view of the world that's more global than just national." Klasky is joining Burson after seven years at GE, most recently as a senior adviser for GE Business Innovations. She also served as chief communications officer for GE Energy Management and global director of GE public affairs. Klasky is also an adjunct professor in American University’s school of communications. Previously, Klasky was chief communications officer at Yale University. She also worked in government communications for the Treasury and State Departments and for U.S. Trade Representative Charlene Barshefsky. "I always viewed my career in chapters," Klasky said. "I started in government, I had the great opportunity to work in nonprofit, and the next chapter was corporate. The obvious missing chapter as a communicator was the agency side; it was sort of a logical next step when you look at my career history." Burson has made several senior appointments in recent months. The firm upped Fernandez, who joined in September as chair of its global corporate and financial practice, to U.S. CEO earlier this month. It also appointed Joel Benenson, former chief strategist for Hillary Clinton’s 2016 campaign, as worldwide vice chair in January and named Kevin Bell worldwide president a month earlier.